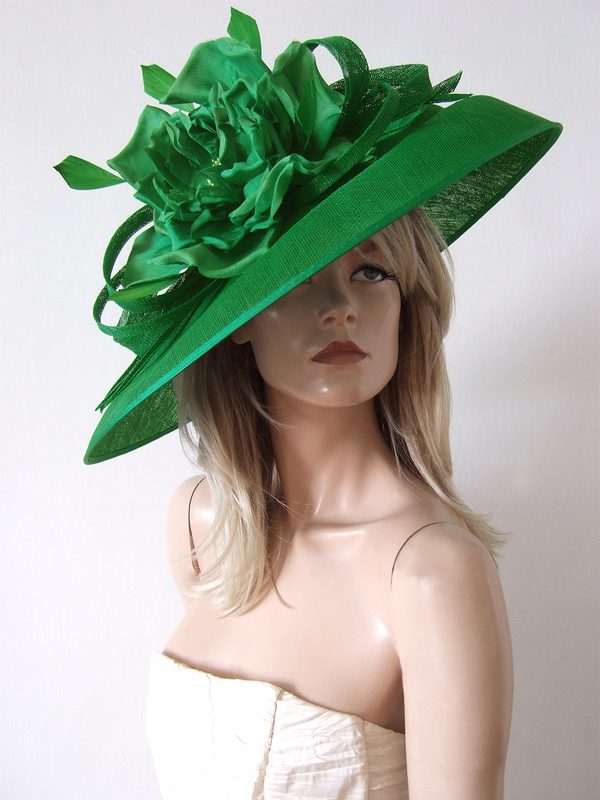 This is a Hat shape positioned on the side with supporting Aliceband, so sit's tilted on the side. A stepped saucer, with mini crown, and decorated in a massive matching green silk rose, sinamay twists and ostrich feathers. Worn tilted down on the right. Saucer has a 19" Diameter.